Apple said Wednesday that come the new year it will no longer allow customers to make changes to their Boot Camp dual boot partition unless they upgrade to Mac OS X 10.5 Leopard. The software, which allows owners of Intel based Macs to also install and run versions of Microsoft's Windows operating system, made its debut in April of 2006 as beta software for Mac OS X 10.4 Tiger users. In the 18 months that followed, the Mac maker utilized its Tiger user base to help test and debug the software, adding support for several services and features in addition to the new Windows Vista. It stated, however, that Boot Camp was a Leopard-bound feature and that versions for Tiger would eventually expire. "We hope you've enjoyed the opportunity to preview an exciting new feature of Mac OS X Leopard," Apple said in e-mail to current Boot Camp beta testers on Wednesday. "With the introduction of Leopard, the Boot Camp Beta program has ended." The Boot Camp Beta software will officially expire on December 31, and at that time the company will stop offering further updates of the beta for Tiger. Apple thanked users for participating in the program and recommended that they upgrade to Leopard if they wish to continue using Boot Camp. Here's hoping it's more like Parallels ? at which point in time, I'll take a look at it. One big questions ihave had is if Apple will cease to let Bootcamp function. For instance, the sorry saps that unlocked their iphones, only to have them frozen into a brick. iDoubt apple will lock you out of your own partitioned drive, but if it does, that will be some bad press. iThink most readers can continue their bootcamp rest assured however as bootcamp is simply going to be "unsupported" not "updated" in order to force a ubiquitous upgrade. Anyhow, bootcamp for tiger was fun, i don't see why anyone would even need an upgrade, i'm not terribly impressed with Leopard as i have suffer hundreds of gigs of locked data and data loss. i use it, but would be weary of bootcamp after the 31st, it is likely time to upgrade if you are using that feature, or to drop (gas!) $80 and get VMWare or parrells. And the users of the Mac did go forth and purchase Parallels, and it was good. >the company will stop offering further updates of the beta for Tiger. Bootcamp doesn't really run Windows technically -- it's just ALLOWS you to run Windows / create the partition. So really, if you're right, then it is "Apple to halt Boot Camp development for non-Leopard users"
You will still be able to run windows, just no updates for bootcamp. At the local edu update, they made a point of telling everyone that once Leopard ships, Boot Camp Beta was dead - no license - no authorized usage, and that Boot Camp 1.0 was a Leopard install only. Sounds like this wasn't said as loudly or often as needed to reach everyone. So I think the more important thing to note here is that, not only will development for pre-Leopard Boot Camp halt, the Boot Camp software will no longer run. In fact, I must be running an old version of it because mine stopped working about a month ago. If you try to run the Boot Camp tool, a message will pop up alerting you that the beta software has expired. Windows will still run just fine and your existing Boot Camp partition will be unaffected. You will however not be able to create a driver CD, nor will you be able to modify your Boot Camp partition. You can delete the partition using Disk Utility (or recreate the partition for use with the Mac), but you will not be able to rejoin the space utilised by the Windows partition to your existing Mac partition (there are other tools out there that can do this). The title of this article, and most of its content, is somewhat misleading. The thing that is expiring is the BootCamp OS X application. The one you run to partition your drive ready for Windows, and to burn a CD with Windows drivers on it. In addition further "bootcamp" Windows XP/Vista driver development will be delivered only to Leopard users. Nothing is going to happen to prevent people who've already used bootcamp under Tiger to install Windows, from rebooting their mac, holding down the option key, and then choosing to boot Windows instead of OS X. To put it simply, BootCamp expiration will not prevent Tiger users from booting into Windows. Here's hoping it's more like Parallels … at which point in time, I'll take a look at it. 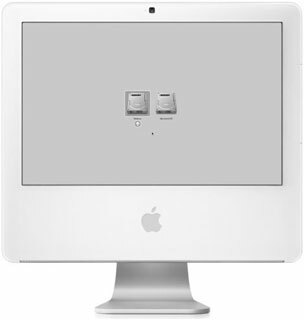 No, it's not more like Parallels; BootCamp sets-up your Mac to allow native booting into Windows. Apple have said over and over and over again that they won't ever do Windows virtualisation. If you want something like Parallels, buy Parallels. Or VMware Fusion (which is better IMHO). Apple thanked users for participating in the program and said they could continue using Boot Camp if they upgrade to Leopard. IOW "thanks for your legwork and input now go and buy Leopard - else no Quicken, Office etc anymore". Talk about blackmail. Cough up or be faced with no more Windows. I bought Parallels fortunately enough so AFAIAC I dont care - but this is quite heavy on the guy who used the beta. Not only does the support end - no it expires. End of. Thank you very much. OK was somewhere in the small print. Then again - how many computer companies do you know who have a 25% net margin, ship loads of updates at full price (unlike Windows) and basically lock you in. I always tought that Apple cherished their customers and not just their wallets. The question is, why does Apple have to disable access to the Boot Camp application? 1) It works just fine. 2) Any systems that require newer drivers than the Tiger Boot Camp beta provides will ship with leopard anyway. 3) Disabling access will piss off people who CANNOT upgrade to leopard yet for one reason or another. Yes, we are out there. Yes, we are running software that still has issues under Leopard. Wouldn't it be easier to say "Boot Camp under Tiger is no longer supported, but you may continue to use it at your own risk." ? Why is Apple becoming customer-hostile in this manner? They're actually going through *extra trouble* to break boot camp on Tiger. All they have to do to be a good citizen with regards to this is stop offering the download and tell people that support isn't available. That should be the end of it. Sigh. Apple seems to find new ways to piss people off on a constant basis these days. Hmm... I did not get the friendly e-mail quoted in the article. If you change the date to 2008, Boot Camp will not run. When you change it back, it will still not run. Somewhere, Boot Camp writes to a file that it is expired. Anybody know where it might be? Except that's not the situation. You will still be able to run windows on a partition that's already set up and installed. You just won't be able to run the BC installer any more to create new installs on leopard machines. Not "blackmail" at all, and people currently running quicken probably won't even notice when it expires. I'm afraid your own response is just as confusing. The blue sofa goes in the living room. The white one goes on the porch. If you want the chicken without the skin, you have to make a special request. The dressing, however, comes on the side by default. The label says "water resistant" not "water proof," but this should be sufficient under most conditions. The coupon can be used towards any item as long as the address on the coupon matches the one on your ticket. Toggle the regulator first, then flip the J-switch into ready mode at the prompt. The sloughing off of skin is normal and of no cause for concern. Oops. You have to set it to before Sept. 30, 2007. My bad. Oh, you mean Apple actually uses the word beta as it's defined instead of, let's say, the way Google uses it?! Gmail has been in 'beta' so long I just assume it's a feature. Bootcamp was just a boot loader and collection of drivers that are freely available (intel 965 chipset, ati/nvidia GPU, Raid/SATA) so why cant the affected users, or all Intel tiger users for that matter, just port a F/OSS *NIX bootloader to work with OSX and drop in the drivers ala carte? Bootcamp aint that special folks. Haha. I always think the same thing about Google.